i know, i know, i’m contributing to the problem in which thanksgiving is completely passed over in favor of getting a jump on the christmas cheer. but now that we’re officially past halloween, i couldn’t resist sharing these goodies for one more moment. every year, it’s not the appearance of twinkle lights, or tree lots, or drugstores decked out in cheap christmas candy that gets my engines revved for the holiday season. no – it’s the arrival of the neiman marcus christmas book in my mailbox. sure, i love all of the usual goodies neiman’s has to offer. but really, it’s the over-the-top, if-i-were-a-gazillionaire gifts that i utterly adore. like nothing else you’ll ever see, the neiman marcus christmas book is pure genius when it comes to fantasy-grade decadence. and believe me, i can spin quite a fantasy life from some of these gifts. for example. 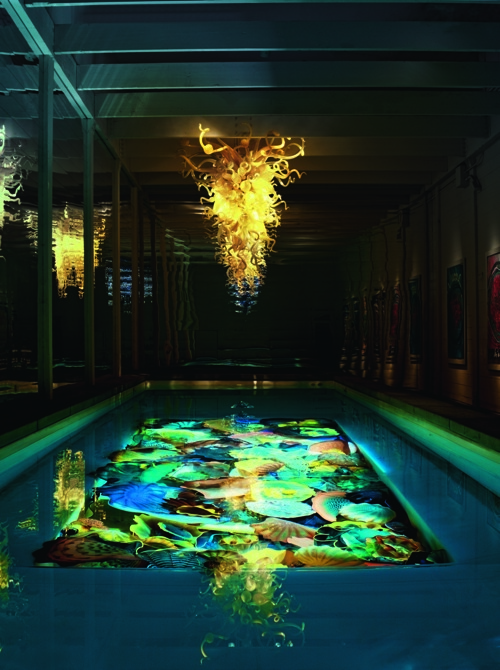 if you’re ever wondering what melinda buys for bill gates – i mean, talk about the man who has everything – how about a custom pool art installation by legendary glass artist dale chihuly? assuming he doesn’t already have one. 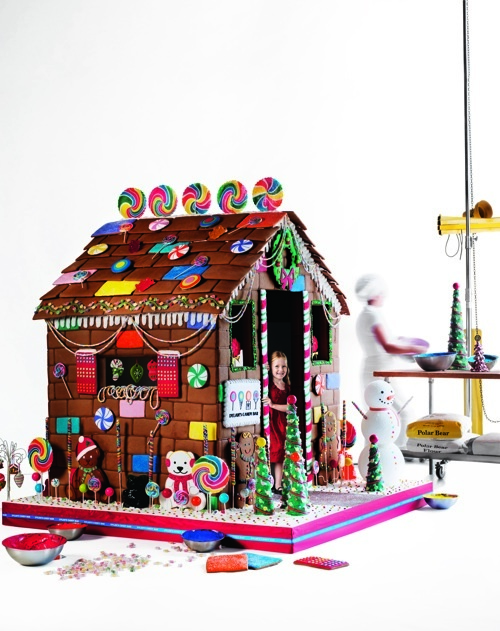 or how about a life-sized gingerbread house designed by dylan lauren (of dylan’s candy bar fame). it stands more than 6 feet tall and is made of 381 lbs of gingerbread and 517 lbs of royal icing, not to mention the thousands of lollipops, gumdrops and other goodies. isn’t this exactly the gift you imagine little veruca salt would have demanded from her parents for christmas, after that whole willy wonka thing fell through? 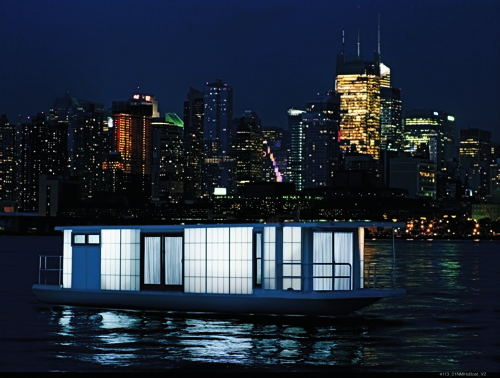 if you’ve gone on one too many chartered around-the-world tours, and just can’t imagine spending one more minute in that state-of-the-art private jet, can you think of anything more relaxing than an occasional jaunt across the hudson on your very own houseboat? especially one custom designed with viking kitchen appliances, bang & olufsen sound system, hi-def movie projector, remote-control air conditioning, and waterproof hardwood floors. i hear stay-cations are all the rage this year. or maybe the thing you’re really after is showing your friends just how well you did this year. i have the perfect solution: an intimate tequila tasting party for 75 of your nearest and dearest. naturally, you’d want only the best – perhaps a celeb event planner like, say, colin cowie, to arrange the whole thing. and the best food you could possibly serve…maybe you could get that amazing chef todd english to do the catering. is it weird that i think this one is actually sort of a bargain at $125,000? personally, i’d settle for just attending that fabulous party…in what might be the most beautiful cocktail dress i’ve ever seen. leave it to alexander mcqueen to make me swoon for lace and swarovski crystals. alas, i’m almost certain none of these fantasies are coming true this holiday season. but a girl can dream! in the meantime, i have managed to pick out one thing that’s actually within the realm of reality. like, say, a burberry check faux-shearling jacket…a bargain, after all this decadence, at $795. if the christmas book hasn’t hit your mailbox yet this year, don’t despair. while they’re a bit picky about who actually receives the print catalog, you can peruse the whole thing online right here. but prepare to be carried away to a world where even santa can’t begin to compete. This entry was posted in holiday and tagged christmas, neiman marcus on 1 November, 2010 by shoppingsmycardio.